Editor’s Note: After requests from our readers, regarding the plane crash in Leslie County, Kentucky, in 1943, the following article is being reprinted. It appeared in The Explorer in November 2002. Growing up not far from where the plane crashed, I was always curious about it. Not knowing the exact location, or having the ambition to go see for myself, it would drift from my mind. Then, about 2001, I started talking to a friend about the crash. We soon made plans to go to the sight, but after a late start on four-wheelers, we soon found ourselves in darkness and obstructed by downed trees. About two weeks later we succeeded. It was totally different than what I had thought it would be. There were only a few parts to be seen, and to my surprise they were so small. Curiosity getting the best of me, I wanted to know what happened to a 30,000 pound plane, and why there were no more than a few parts left. 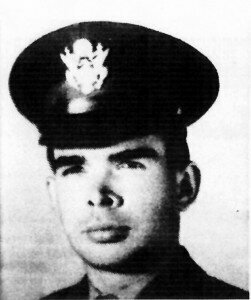 Malcom Wardrop, Jr., age 24, was the pilot of the Martin B-26 Marauder, which crashed in Leslie County on August 14, 1943. After talking to some local residents, I got just about the same story. It was an Army plane, which had gone down in a thunderstorm. I was amazed at the articles my wife and I found when we visited the library. This made me even more curious, so my mom suggested we write to the Army archives in Alabama. After a few weeks, we got more than we expected. After studying the information, we found out what kind of plane it was, names of the crew, and what their flight was about. 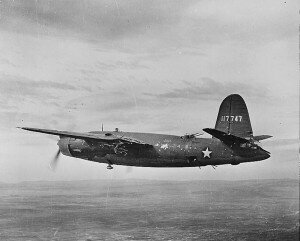 The plane was a Martin B-26 Marauder medium bomber. With a crew of five and two passengers, it left from McDill Field, Tampa, Florida, going to Kellogg Field, Battle Creek, Michigan, on August 14, 1943, while making only one stop at Greenville Army Base, Greenville, South Carolina, where it took on two more passengers. Aboard the plane were 1st Lieutenant Malcom S. Wardrop, pilot; 2nd Lieutenant George H. Wallace, co-pilot; 2nd Lieutenant Alfred Boyed, bombardier; 2nd Lieutenant Seymour J. Deridder, navigator; Sergeant Joseph A. Dibenetto, aerial engineer; 1st Lieutenant Paul C. Johnson, passenger; 2nd Lieutenant Roland G. Dronfeller, passenger; Staff Sergeant Francis V. Valone, passenger, Technical Sergeant Claude A. Young, passenger; and Staff Sergeant William Hoefield, passenger. Before taking off, the crew was given the weather forecast along the route. The mission was going to be a routine navigational training flight. After reaching a point 21 miles northwest of Hazard, Perry County, Kentucky, the plane ran into a violent thunderstorm, where local people saw the plane tossed about by the strong winds and out of control, as it crashed into a mountainside in Leslie County. The nearest community was called Bowling Town, which is now known as the Buckhorn Marina, in Buckhorn State Park. Newspapers reported a hunter found the wreckage days later. A search party was then organized in Hazard, and on a Tuesday night they reached the wreckage about one-half mile up in Coal Branch on the Middle Fork of the Kentucky River. The plane and fragments of bodies were spread over a wide area. The members of the search party said that the plane cut a swath 75 yards wide and sliced through trees 24 inches in diameter. The crash occurred in an inaccessible part of Leslie County. The only way to the scene was by horseback or on foot. Major J. Morey, a member of the Army investigating team, along with an agent of the F.B.I. and Perry County Sheriff Charles Cornett were among those at the scene. Guards were placed around the wreckage that night. The next day, under Army supervision, locals and members of the local Boy Scouts were called in to hunt for…. A Martin B-26 Marauder medium bomber left McDill Field, in Tampa, Florida, on August 14, 1943, and crashed later that afternoon in a remote area of Leslie County, Kentucky. The plane cut a swath 75 yards wide and sliced through trees 24 inches in diameter, during a violent storm. The only way to reach the crash scene was by horseback or on foot. The B-26 (Martin Marauder), shown above, of the United States Army air forces was preparing to make a safe belly landing after a bombing raid in Tunisia (Africa) in 1943. Her left wing and engine nacelle had been riddled by anti-aircraft fire. Finish this story and more in our September 2016 issue!